If you want to ensure that your interests are protected, it is advisable to retain your own personal injury attorney even if there are several victims. However, if the interests of the other victims are aligned with yours, in most cases, it is OK to choose to be represented by the same attorney in the case. Your first step is to determine whether your interests are aligned with the interests of all of the other victims. Determine if you want the same thing and if the interests of the other victims are likely to change down the road. Are any of the other victims potentially liable for the collision and resulting injuries? Even if you were all in the same car and are all members of the same family, if one of the other parties is a potential defendant, you may want separate counsel. It is important to consult an attorney before you decide on whether or not to have your own representation in a personal injury claim. An experienced attorney will let you know which path is best to protect your interests. 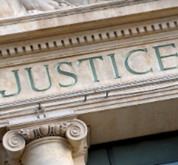 It is important to remember that the defendants will have their own legal representation. Insurance companies are likely to have a team of experienced attorneys advising them and guiding the claims process. They will do all they can to protect the interests of their clients. For that reason, you should ensure that your own interests are protected right from the start. In certain cases, the injured parties may be able to file a class action lawsuit, but that situation typically does not apply in car accident cases. Class actions and another form or multi-party litigation known as multi-district litigation are commonly used when the injuries result from the use of defective drugs and medical products. If many people have been injured by a specific drug or device from a specific manufacturer, they may combine their claims to form a class action lawsuit or participate in multi-district litigation against the pharmaceutical company or the medical device manufacturer. A class action lawsuit allows a number of claimants to administer their case in court against the same defendant at the same time. All the claims are brought together before a single court. In many cases, there won’t be many separate actions for the same case. Class actions are not limited to pharmaceutical cases. They can be filed against any party whose negligence resulted in the injury of multiple individuals. Combining cases helps to make it affordable for plaintiffs – particularly plaintiffs with small damage claims. It also makes it more likely that an attorney will take your case.